I have finally finished the quilt top for my #igminiquiltswap partner! My partner said she loves low volume, but equally loves brights. As I said in my last post, my low volume stash is almost non-existent, so brights it is! I sure hope she likes it! I also hopes she doesn't mind that I was just a little short on the light blue solid fabric. For three of the triangles I had to add a seam to make the piece big enough to fit. I don't think it will be very noticeable when the quilting is finished. Now I just need to get it basted, quilted and bound...quickly. It's supposed to be in the mail by December 1st (5 days from now). I see a lot of quilting in my near future! Love that block! You are right, once the quilting is finished it won't be seen at all! So pretty! And that little seam won't be noticeable at all. Leanne, I know from experience that it is particularly challenging to get the piecing lined up well in minis. You have done an amazing job! 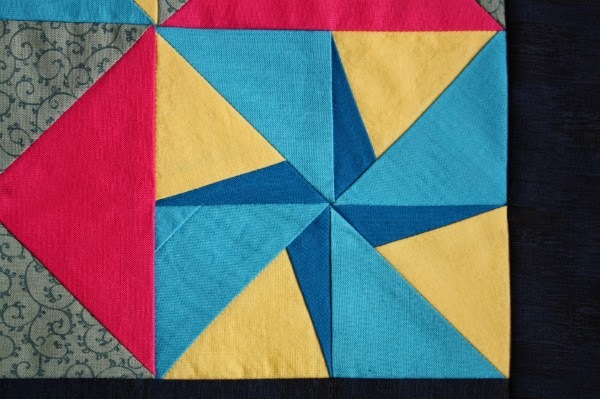 It looks perfect - what a great little quilt! As I'm running a fabric giveaway, would you like to enter? I love this pattern! So pretty, and those little seams won't be noticed once your top is quilted. 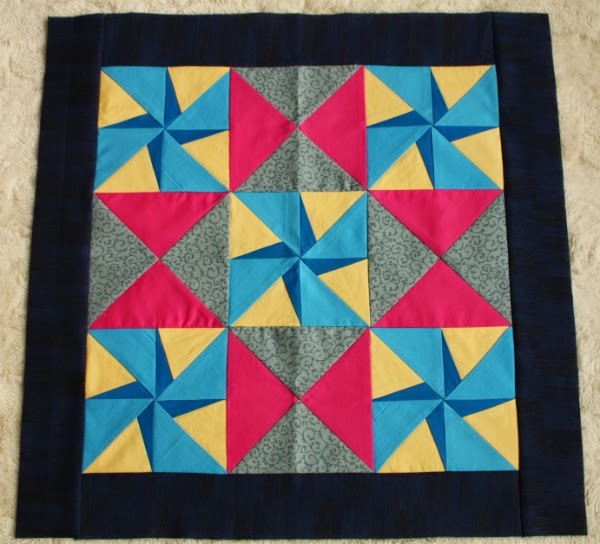 Lucky recipient, lovely bright cheery quilt. Lucky recipient, very pretty bright colours. Anyone would be thrilled to receive this Leanne!